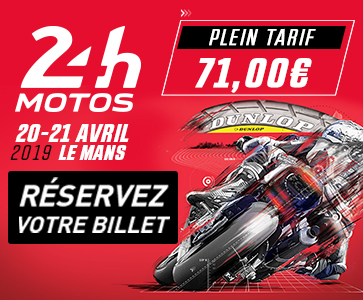 The 24 Heures Motos, the 2nd round of the 2018-2019 FIM EWC, will take place on 20 and 21 April on the Bugatti circuit at Le Mans. 60 teams will line up on the grid, including 39 full-season squads. All eyes will be on F.C.C. TSR Honda France, reigning champions and winners of the Bol d’Or, the season’s first race. 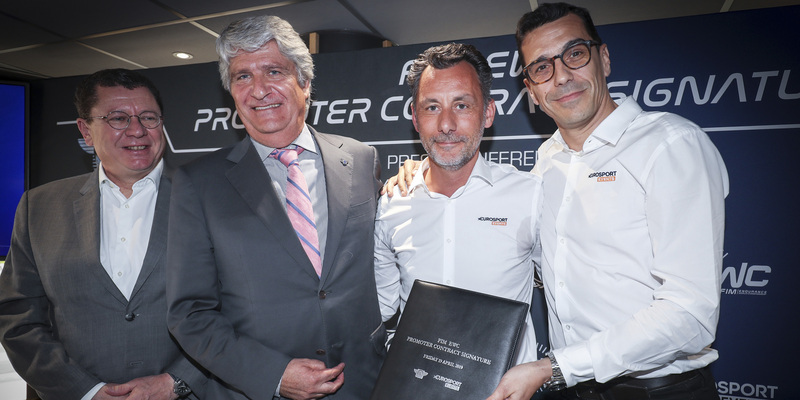 The 24 Heures Motos – the second 24-hour race on the 2018-2019 FIM EWC calendar – will be decisive in the contest for the world title. Like the Bol d’Or, the 24 Heures Motos enables the winner to pocket 40 points and try for the bonus points awarded for pole position and for being in the lead 8 hours and 16 hours into the race. A flawless race in the lead combined with pole position and the win adds up to 65 points in these 24-hour races, as compared to 35 points in an 8-hour race. Winners of the Bol d’Or, though thrown out of kilter by an electrical failure, F.C.C. TSR Honda France will get to Le Mans with a score of 51 points and a narrow lead over their rivals. The top six teams in the provisional standings are within 14 points of each other. Having run a great race at the Bol d’Or, German squad Wepol Racing (Yamaha) are in second place ahead of Austrian team YART Yamaha, who staged a noteworthy comeback to finish on the heels of the winner at Castellet, and French squads Suzuki Endurance Racing Team and Team SRC Kawasaki France. Swiss squad Bolliger Team Switzerland (Kawasaki), who are in sixth place, also have a strong card to play at Le Mans. Two factory teams currently missing from this roll call will do their utmost to make up for lost time. After being forced to withdraw at the Bol d’Or, Honda Endurance Racing and ERC-BMW Motorrad Endurance are all the more determined to take a podium place at the 24 Heures Motos. GERT56 have emerged as a favourite in the Superstock class. Their 6th-place finish and Superstock win at the Bol d’Or last September took the German team to the top of the FIM EWC World Cup provisional standings, with Webike Tati Team Trick Star, the 2nd Superstock at Castellet, deciding to move up to the Formula EWC class. The competition – Italian squad No Limits Motor Team and French team BMRT 3D Maccio Racing – are more than 18 points behind in the provisional standings. A desire for revenge will drive leading Superstock teams like Junior Team Le Mans Sud Suzuki and Moto Ain, who did not make it to the finish line at the Bol d’Or. All in all, the 24 Heures Motos is shaping up to be a tense and suspenseful race, with the first skirmish set to take place when official free practice gets underway on Thursday 18 April. Before that, a sizeable number of teams competing in the 42nd edition of the 24 Heures Motos will be on the Bugatti circuit on 2 and 3 April for one last session of private tests.